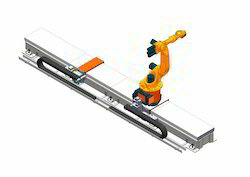 Our range of products include pick & place gantry system, three axis gantry system and robot gantry. 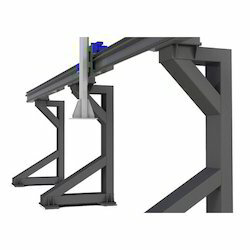 We are a reputed manufacturer and supplier of Gantry System . The lifts offered by us are manufactured using quality-assured raw material that is sourced from the prominent vendors of the market. Our team of experts keeps a close eye on the entire manufacturing process to make sure that these products are designed and made in accordance with the international quality standards. Moreover, our organization is also engaged in offering these lifts in customized designs so as to suit the requirements of our clients. Owing to our vast experience in this domain, we provide a high performing range of Place Gantry System. These robots are widely used in the industries for handling complex material of many conveyance systems. Further, by using these robots, clients can minimize the floor space. The modules offered by us are capable of enhancing the efficiency of production process by providing a highly flexible solution. Owing to their high speed, ability to exceed human limitations, reliability and strength, these products are widely used for handling large or unusual part shapes using multiple part grippers. 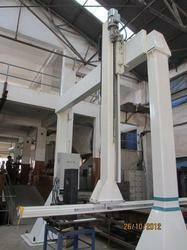 Looking for Gantry System ?